Did you know there is a very important day that almost everyone has forgotten about? It’s astounding that only a few people are aware of it, because it’s one of the most significant days in all of human history! It’s not only a day in the past, but the present and future. Furthermore, what happened on this neglected day can have a profound effect on your life. 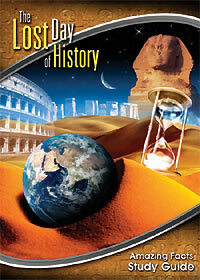 Want to know more amazing facts about this lost day of history? Then read over this Study Guide carefully.